The original in the Classic range, made from a European fullered concave section. Front shoes are punched with 10 nail holes, hind shoes with 8 nail holes. 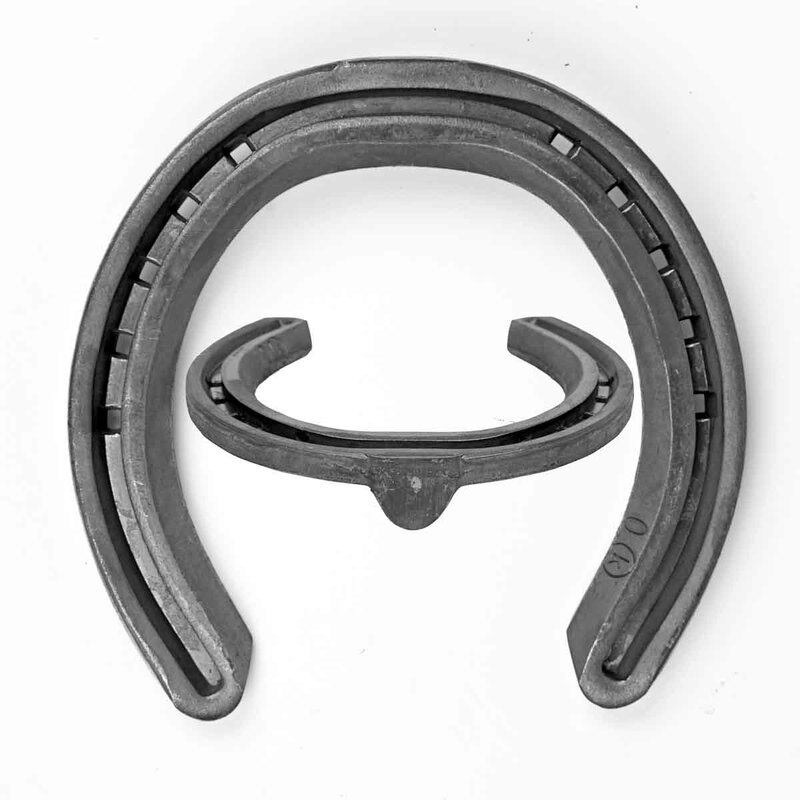 Available in fronts toe clipped or side clipped, hinds side clipped only. Front Shoe Width : 5 1⁄4"
Front Shoe Width : 5 1⁄2"
Front Shoe Width : 5 3⁄4"
Front Shoe Width : 6"
Featuring drilled and tapped 3/8" stud holes. Front Shoe Width : 5"
Improved shoe in the Kerckhaert Classic range with extra features. Hinds sided left and right. Seated out, boxed off heels, neater clip.